We have compiled a list of the most frequently asked personal injury questions for your reference. What Should I Do If I am Involved in an Auto or Other Accident in Los Angeles or Anywhere in Southern California? Their FULL insurance information including the name of their insurance company, their policy number, a contact phone number (all drivers in California Are Required to Carry a Card evidencing “Financial Responsibility” (i.e. that their vehicle is insured). This information should be on their card. The names, addresses and phone numbers of any witnesses at the scene who saw what happened. Make a brief note of what they saw. NOTE: Our Firm Has a FREE Auto Accident Information Card to keep in your glove box in case of an accident. It has pre-printed information to fill in so that you obtain all the right information. Just Call Us free of charge at 866-966-5240 and we will send you this for FREE just for the asking. If you are able to do so: Take pictures with your cell phone or other camera of the position of the vehicles, the property damage to all vehicles involved and any injuries you sustained (such as cuts, bruises, etc.). With this information, you should consult with a lawyer, provide them all of the above, and at least obtain an initial consultation about who may be at fault and your potential entitlement to monetary compensation. Do I Really Need an Attorney for My Injury Claim? The answer is it depends upon several factors but, if you have sustained any type of injury that is causing pain for more than a few days and you believe the cause was a negligent or wrongful act by someone else, you shoud at least consult with an attorney familiar with injury claims. For a detailed discussion of various factors to consider when deciding whether it is worth hiring a lawyer, take a look at our webpage here: Why Should I Hire a Personal Injury Attorney? The main reason When you have an accident and another party is at fault, they will have an experienced claims adjuster or defense attorney representing them. INSURANCE COMPANIES ARE IN BUSINESS TO TRY TO PAY AS LITTLE AS POSSIBLE ON YOUR CLAIM. Therefore, it is always best to have someone in YOUR corner, fighting for you. We are experienced, know the law, have good repoire with many different insurance companies and adjusters in Southern California and will get you everything to which you are entitled. WE WILL GIVE YOU A FREE CONSULTATION so CALL NOW Toll Free: 866-966-5240. Many times you may be able to proceed against the other driver if he has personal assets to recover. You may also proceed through a process to collect on your own policy if you have either UNinsured or UNDERinsured motorist coverage. WE can help determine if these are options, contact your insurance company on your behalf and make sure you are fairly compensated for your bodily injury claim. Many people are concerned that this may affect their insurance premiums but, California law states that auto insurance companies are not allowed to raise premiums unless their insured is deemed to be the “majority” at fault in the accident. (See more information here: California Auto Insurance Rate Increases for Accident Claims). How will I get Around While My car is Being Repaired or Replaced? You are entitled to a reasonable rental vehicle. WE WILL HELP YOU GET A RENTAL car so that you can get to work. How Much Money will I Receive From My Accident Settlement? What are the Fees for Hiring a Quality Personal Injury Lawyer? There are very strict time deadlines on submitting a claim. This is why you should consult an attorney AS SOON AS POSSIBLE after your accident. Delay of even a few weeks in seeking treatment or setting up your claim can significantly reduce the value of your case. Further, failure to file a lawsuit by the statutory deadline can result in losing ANY right to recovery so, CALL NOW ! For more information go to our webpage, When should I hire a personal injury lawyer? NOTE: THESE ARE INTENDED FOR INFORMATIONAL PURPOSES ONLY; NO ATTORNEY CAN FULLY EVALUATE YOUR CASE UNTIL YOU CONSULT WITH THEM IN PERSON. TO SET UP YOUR FREE CASE AUDIT AND EVALUATION. Every Lawyer Says They are “Good”, how do I Know I Have the "Best" Personal Injury Lawyer? Experience: Our team of lawyers has over 35 years of combined experience litigating accident claims. We have and do take cases to trial, if necessary in order to obtain the maximum value on the case. Reputation: We have consistently received the highest awards and accolades from our peers and prior clients. This includes a 10.0 Avvo rating (the highest rating possible), being named a Personal Injury Super Lawyer by Thomson Reuters News Service (a nationally recognized evaluation to determine the best lawyers in CA and an award received by only 5 % of attorneys in the Golden State) and numerous other local and national awards for excellence in providing legal representation in personal injury cases. Approximately 80% of our business comes from referrals from other attorneys, past clients and people in the southland community who know we have done and will continue to do good work. Attitude: We treat each and every case as if it is our only file. 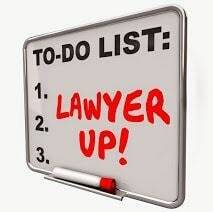 You speak with the attorney about your case (not a “representative”, “paralegal”, “assistant” or other person. Your attorney keeps you updated as the case goes along. This is what we demand and this is what sets us apart from many other “mill” type law firms who simply “churn and burn” files for minimal value, hoping to make it up by “volume”. We fight hard for each and every one of our clients! Results: Although every case must be evaluated on its own merits, we feel our past results speak for themselves. We have recovered hundreds of millions of dollars for our clients over a 20 plus year span.